Residents of The Sunshine State can attest to the regular occurrence of intensive storms throughout the year, including thunderstorms, windstorms, hurricanes, tornadoes and tropical storms. 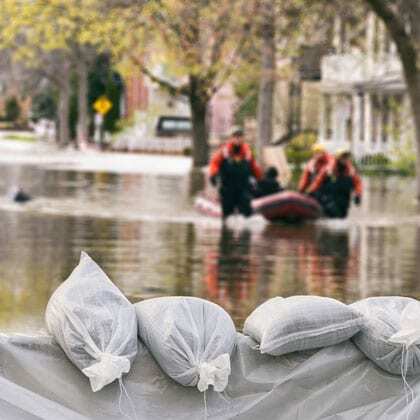 Daily summer storms and impending hurricanes cause Florida homeowners and business owners to hope for the best outcome but prepare for the worst. Storm damage can affect all aspects of life for Florida property owners and often cause feelings of frustration and helplessness. Excess water from flooding or heavy rains can cause irreparable structural damage — and when coupled with warm and humid air, can act as the perfect environment for mold and mildew to grow and spread — while thunderstorms and windstorms can render structures unsound and unsafe due to damage from fallen trees, withered tree limbs, and other types of debris. For protection from property damage caused by storms, Floridians are urged to obtain property damage insurance. However, property damage insurance is not foolproof and it does not guarantee policyholders complete coverage for every type of damage. If your insurance company denies your claim after a storm, contact a storm damage attorney with Pursiano Barry Bruce Demetriades Simon LLP. We will work with you to figure out the cause of your denied claim and help ensure an optimal result for your case. A major storm can cause serious damage to Florida homes and businesses, resulting in a substantial financial burden. 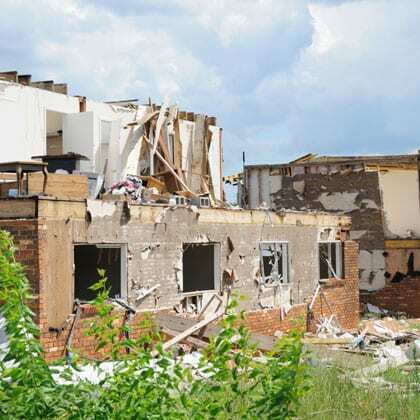 It is in an insurance company’s best interest to deny claims to storm damage, and it can avoid payment through a wide range of policy loopholes. The most effective method for ensuring the success of your storm damage claim is with the experienced counsel and representation of our civil litigation lawyers. Claims that can result from storm damage comprise a number of different types of issues, including denied insurance claims; delayed insurance claims; construction defect claims; structural damage; fire damage; water damage; and wind damage. Property owner insurance policies vary regarding details of coverage to homeowners and business owners. The majority of Florida homeowner and property owner insurance policies cover property damage caused by wind but exclude coverage to damage caused by excess water or flooding — coverage for water damage to properties must be purchased separately from regular property insurance policies. In Florida, property insurance policies also require a deductible to be met before the insurer pays for damages. The deductible is a predetermined percentage, which is typically calculated based on the policy amount as a whole. With the prevalence of such finite details that can vary from policy to policy, having a skilled insurance attorney on your side to advocate for your best interest is integral to obtaining the most favorable result in an insurance claims case, so you can start restoring your life to normal after storm damage. Why Do Insurance Companies Deny Storm Damage Claims? A storm damage claim may be underpaid or denied altogether due to a number of reasons, including delinquent policy payment, damage due to a source that is not included in the coverage terms, or the policyholder’s failure to adequately protect his or her property from damage. In addition, Florida homeowners and property owners’ insurance damage claims may be denied if it’s determined that the policyholder failed to properly document the resulting storm damage. If the type of damage to the property is included in the policy, and if the policyholder adequately documented the damage as outlined by the policy’s requirements, the insurance company is obligated to approve and pay the claim. If the claim is still denied, it’s important that you contact an insurance dispute lawyer with our firm right away. We will conduct a thorough investigation to find evidence that the insurance company’s denial of the insurance claim was invalid. Invalid denial to insurance claims can occur if the insurer failed to thoroughly investigate the storm damage; if there was no legal reason for which the claim was denied; the investigation was deliberately delayed; similar claims to other homeowners are also denied; or the damage was purposely attributed to causes not covered by the insurance policy.